Kill City blazer (c/o). Lovers + Friends pants (c/o). Daniel Espinosa bracelet (c/o). It's New Years Eve Eve! Can you believe it? Where has the time gone?? I feel like last New Years was only yesterday, and yet I've accomplished more this year than I have in my whole life. I can't wait to see what 2014 has in store for me. 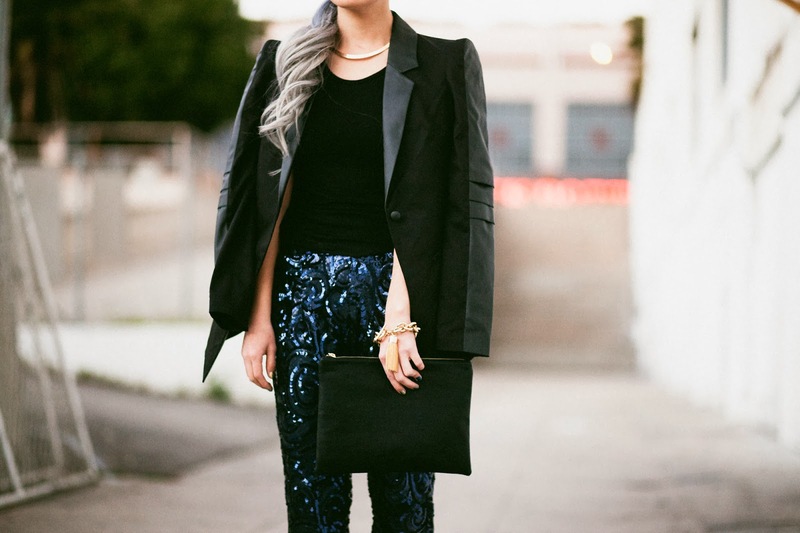 I want to end this year with a bang, and what better way than to dress up in pretty sequins and sophisticated blazers? This is a dinner party outfit for one of my end-of-year festivities. I actually had no idea how these pants were "supposed" to look and was amazed at how well they fit me, but when I went to the site to find the link for the credits, I laughed. They're actually supposed to be capri-ish...I'm just really short. But fear not, because that means that these pants fit perfectly on shorties and tallies alike. 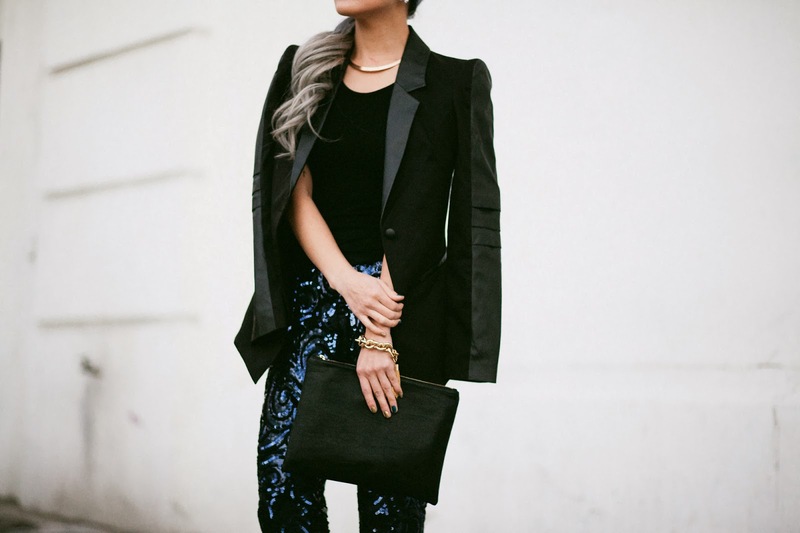 Tying up your hair looks super classy, love your blazer- the satin on the collar and the side of the sleeves! OMG! those pants are heaven! Love much your blog, you're so cool! And you hair is pure Love!!! !